If you're in the market for a cool new pair of sneakers that no one else will have (yet), you might want to keep reading. Madewell frequently collaborates with cool brands, and one of its latest partnerships is with French sneaker brand Veja. 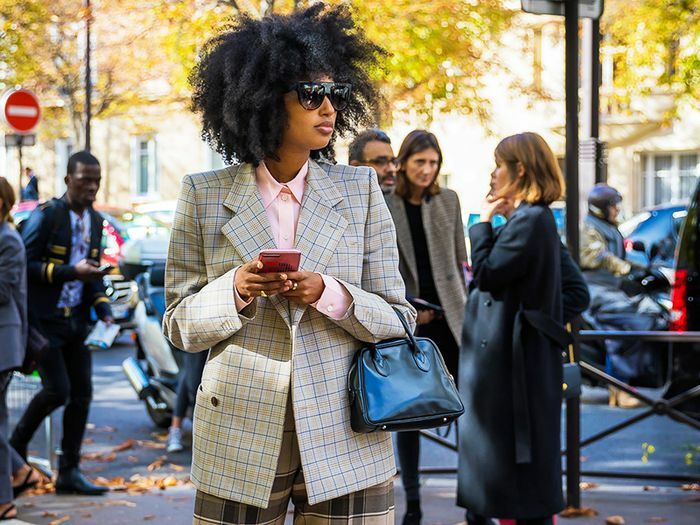 Veja sneakers (which are made with sustainable materials) have long been a favorite of fashion girls, thanks to their simple, versatile design and subtle logo. The pair of Esplar sneakers Veja created with Madewell aren't quite as subtle but are certainly special, and we wouldn't be surprised if they quickly sold out because of it. They took a pair of the signature white leather sneakers and added a smattering of embroidered gold stars and a metallic gold heel detail. Given that we're enamored with anything celestial-themed as of late, we think these are a must-buy. 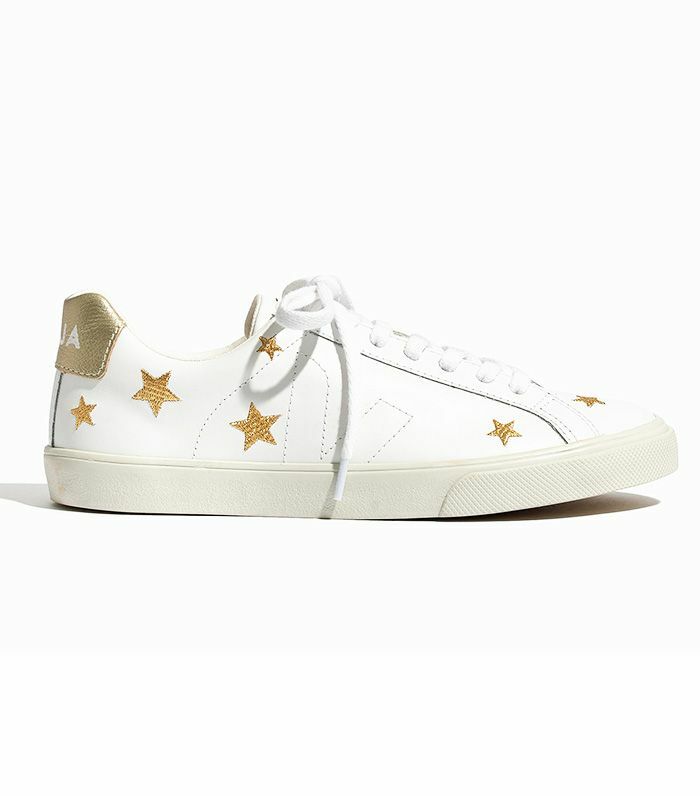 The star-embellished sneakers are a no-brainer for daytime, but we think they'd look just as cool for a night out, with a little black dress and leather jacket (Madewell has those too), for example. So before they fly out of stock, you should probably add the below sneakers to your cart and wait for the compliments to come rolling in. Keep scrolling to shop the prettiest French sneakers via Madewell. Next up, check out the pretty Nike sneakers one editor bought immediately.